A Florida man is now behind bars after being accused of tossing another man 30 feet off a bridge during an altercation Saturday afternoon in Daytona Beach. A police officer arrived on scene just in time to catch 21-year-old Derrick Goodin on bodycam video lift up a man and threw him over the Main Street bridge. Goodin was involved in an argument with a woman over money as she and a another man walked a bike with a flat tire over the bridge, WESH reports. The woman was approached by Goodin and the two got into a verbal argument over a prior money exchange, according to an arrest report. Goodin allegedly slapped the woman in the face, and threw the man’s bike off the bridge when he stepped in to defend her. 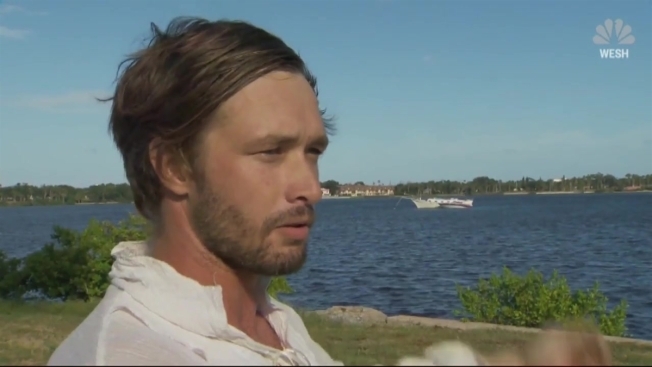 A man in a row boat spotted the bloodied victim in the water and rowed him to shore. The woman refused to press charges, but officers still arrested Goodin and charged him with aggravated battery and disorderly conduct.